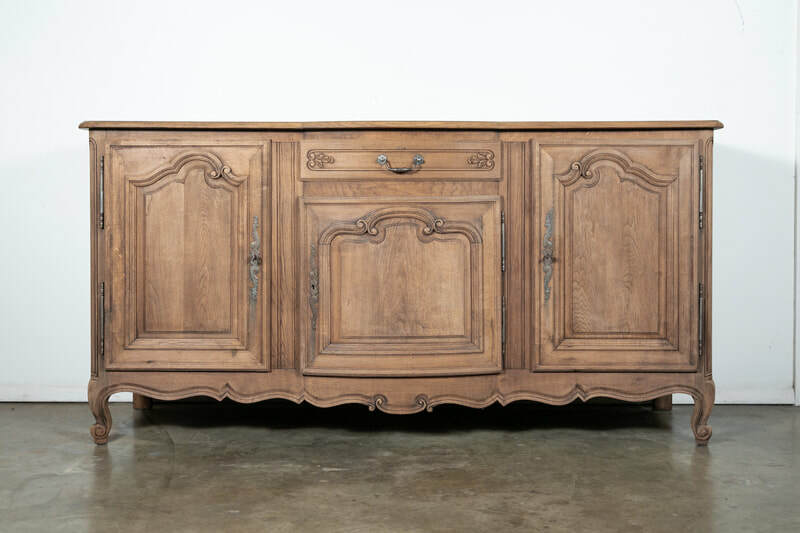 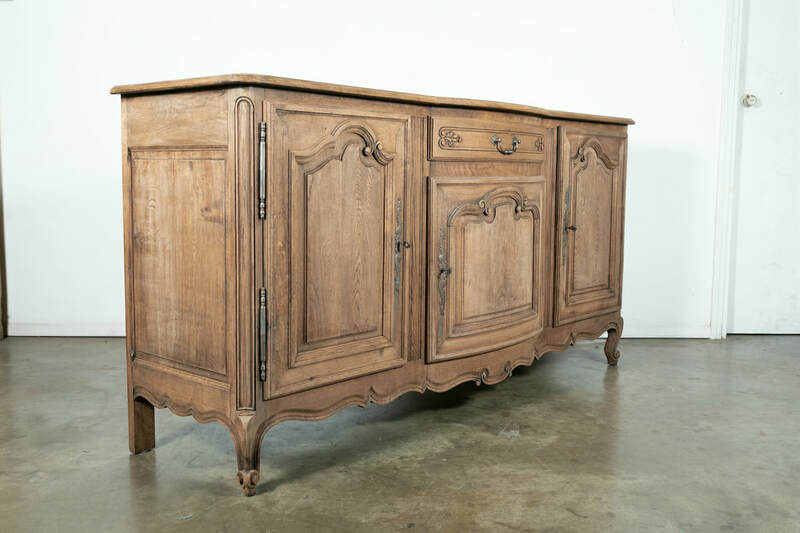 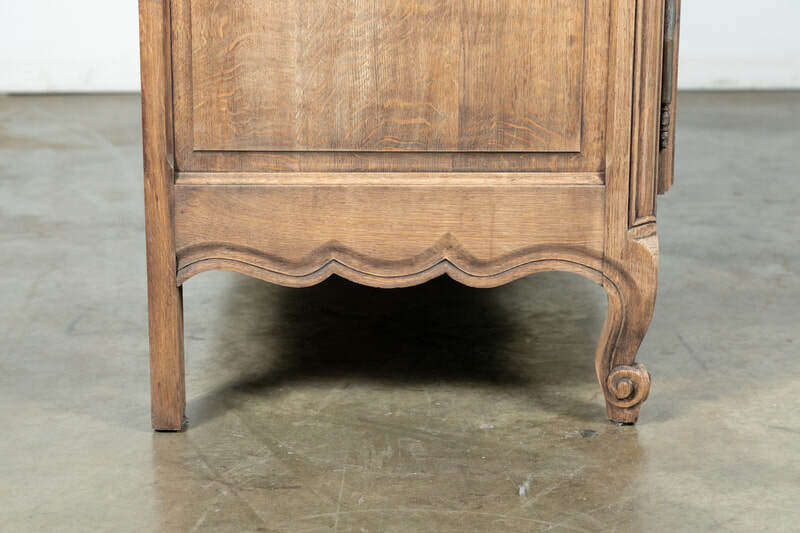 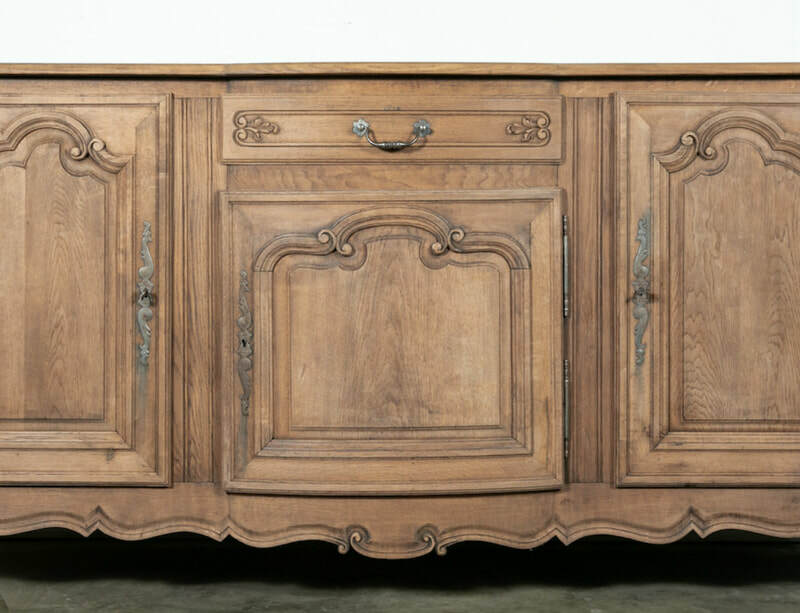 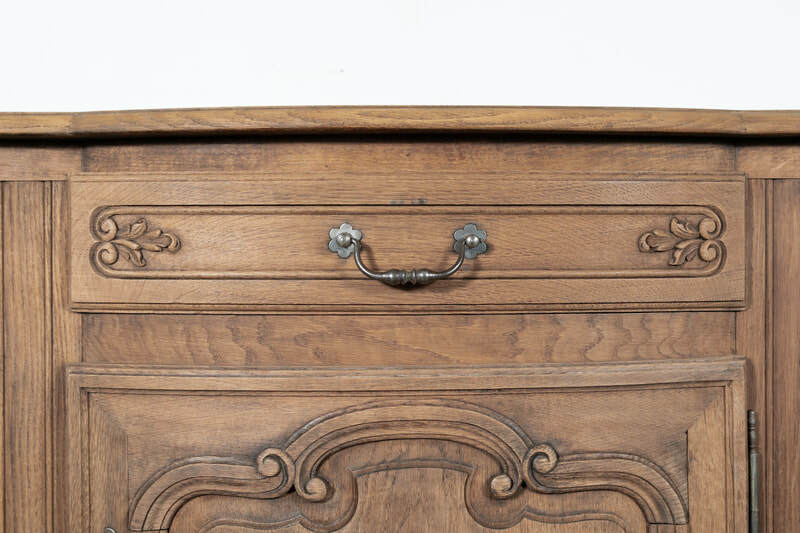 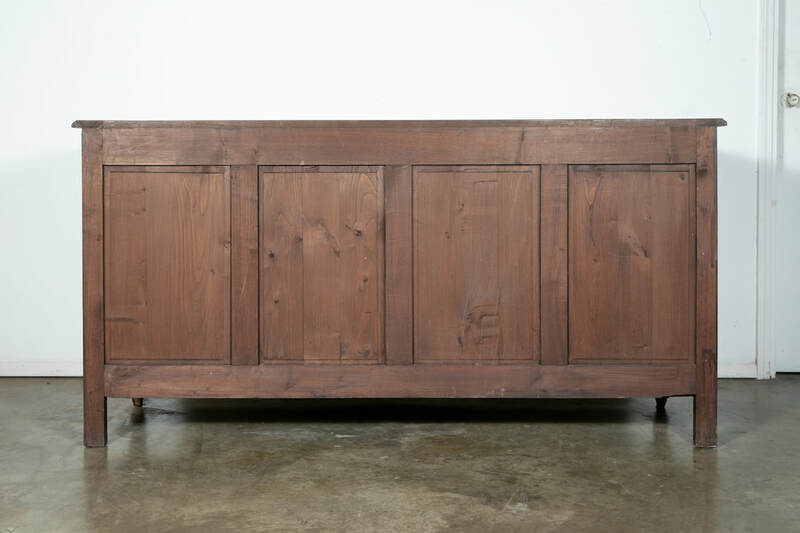 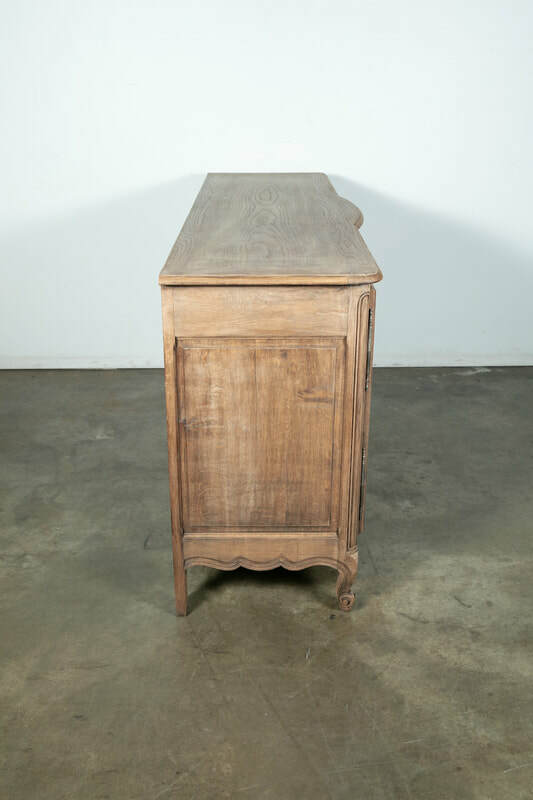 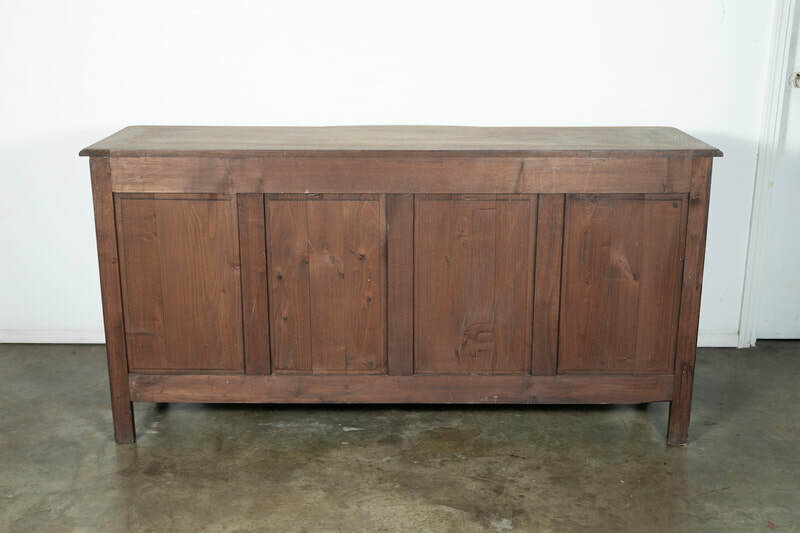 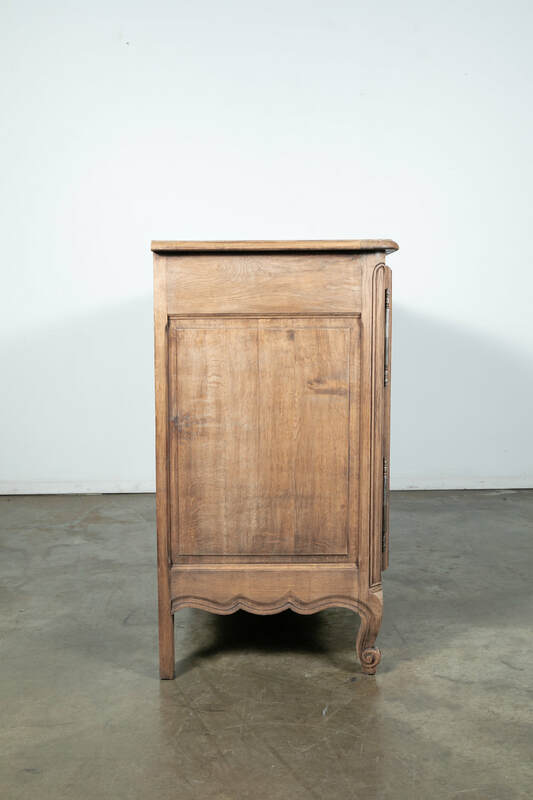 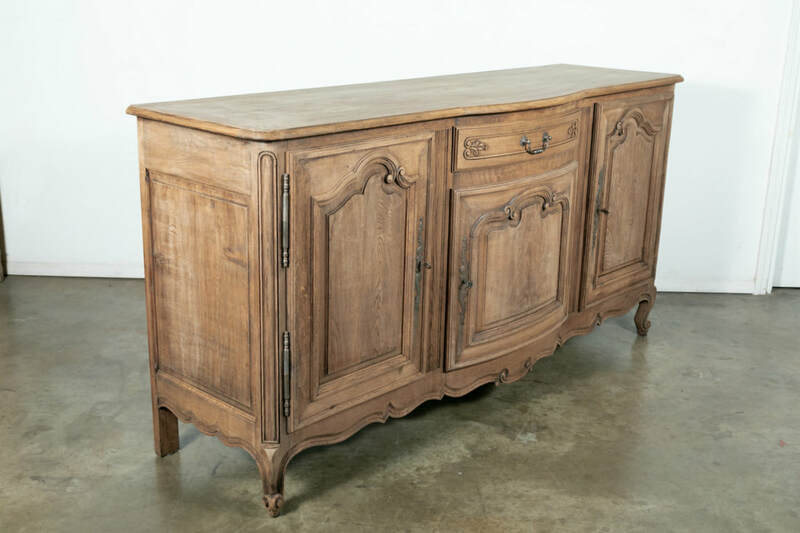 A French Country Louis XV style washed oak enfilade buffet, circa 1920s, having a moulded serpentine top over a center drawer with hand carved acanthus details above a small center cabinet door flanked by two larger doors. 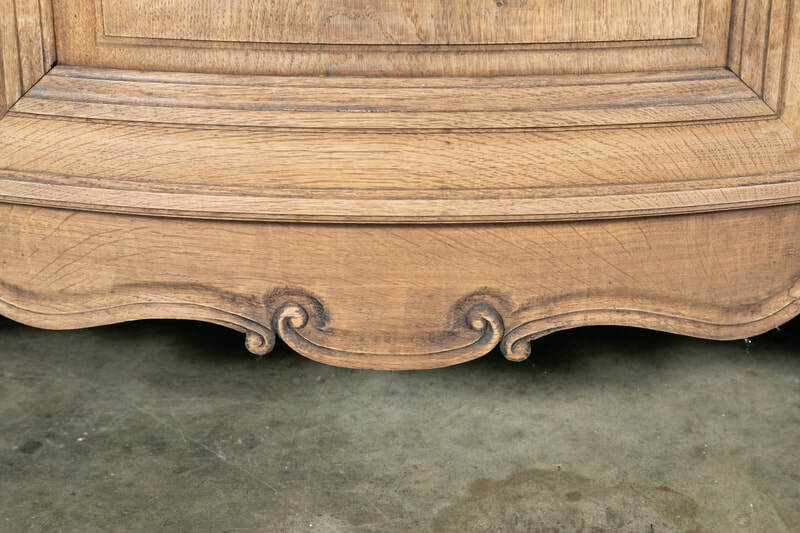 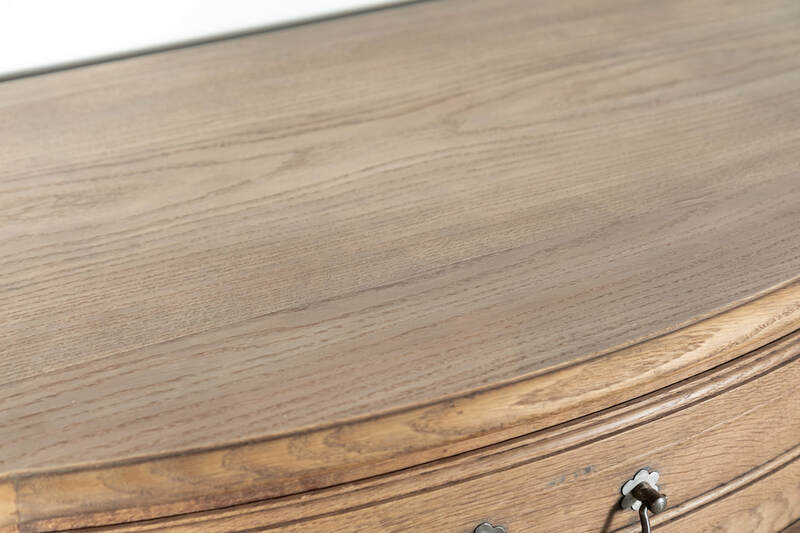 The raised moulded panel doors with carved C-scrolls ending in volutes open to reveal a single interior shelf for wonderful storage. 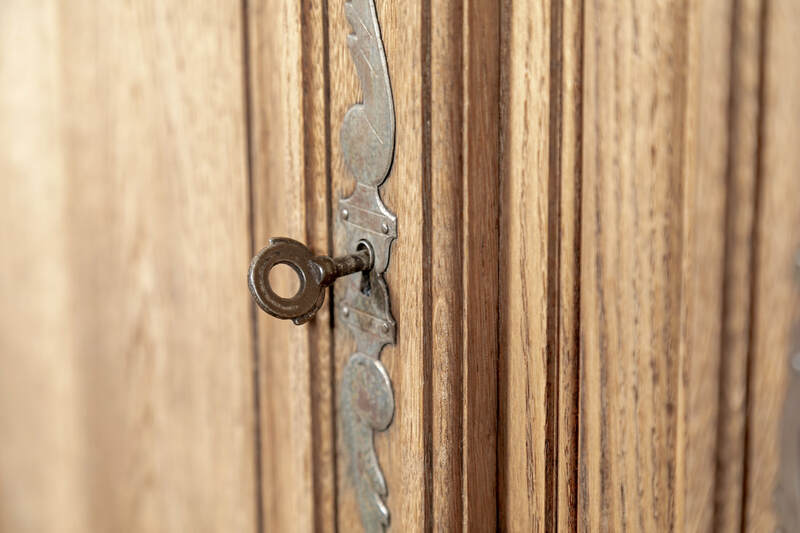 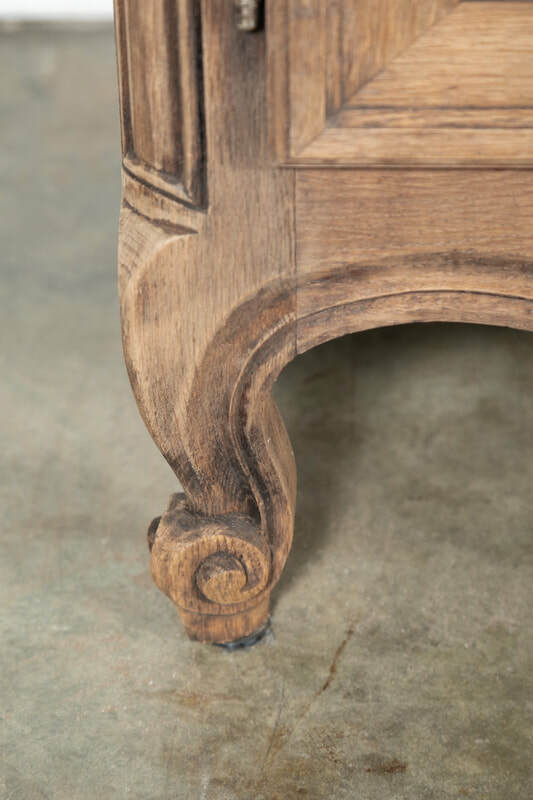 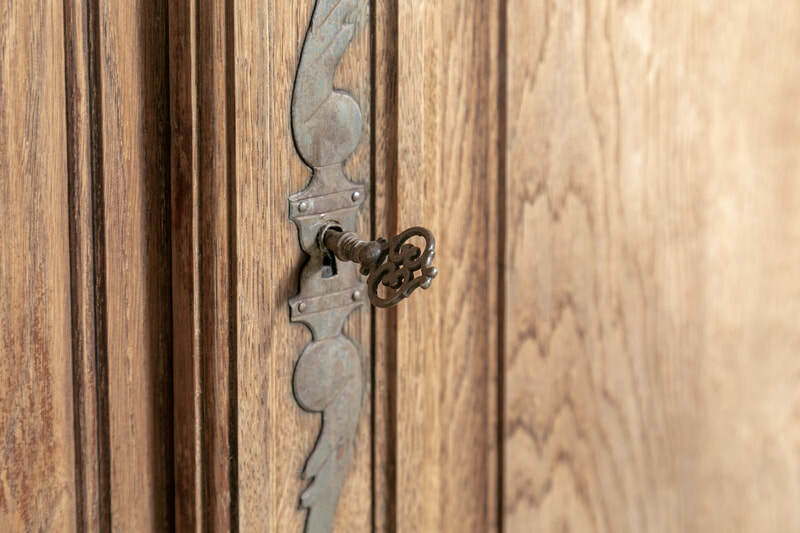 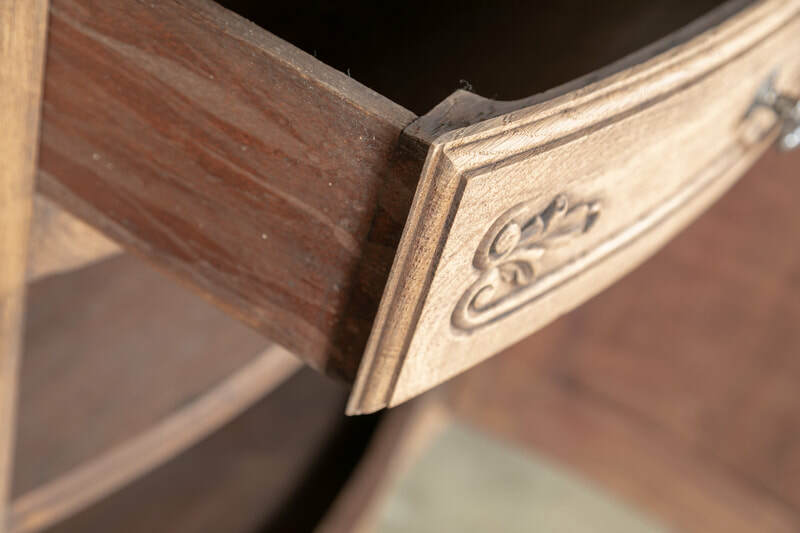 Short carved cabriole legs ending in scrolled toes on pegs support the gracefully contoured and carved apron. 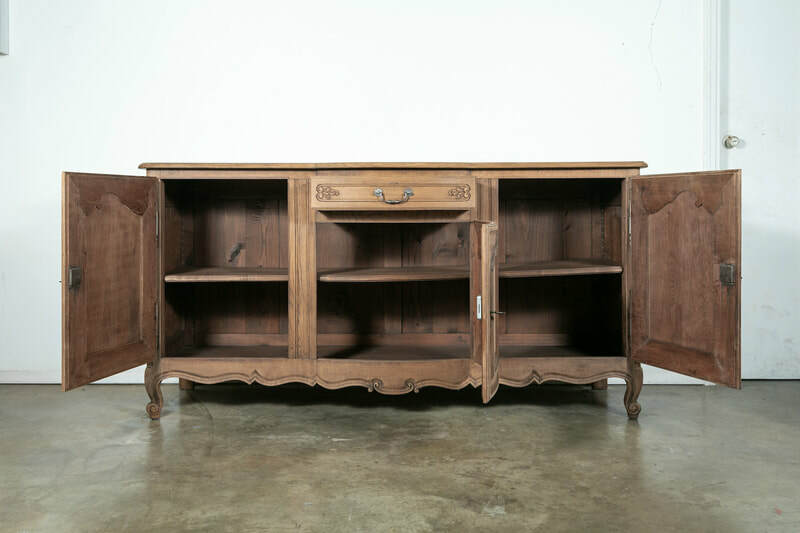 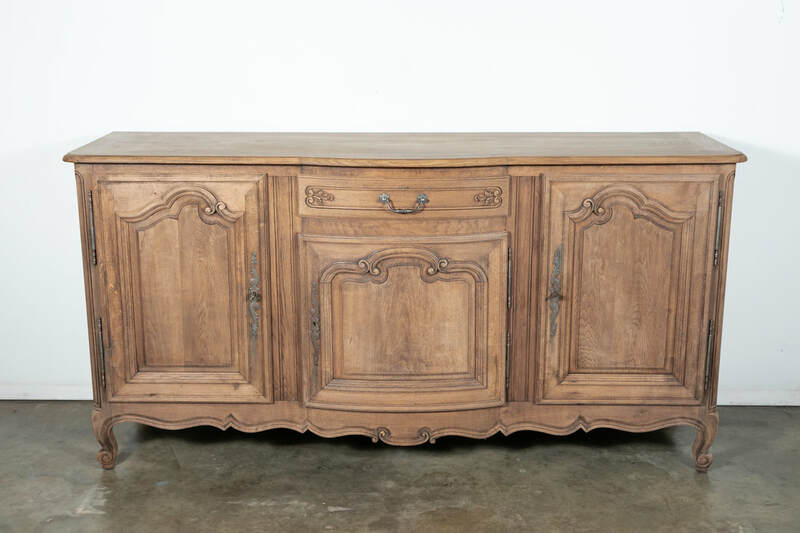 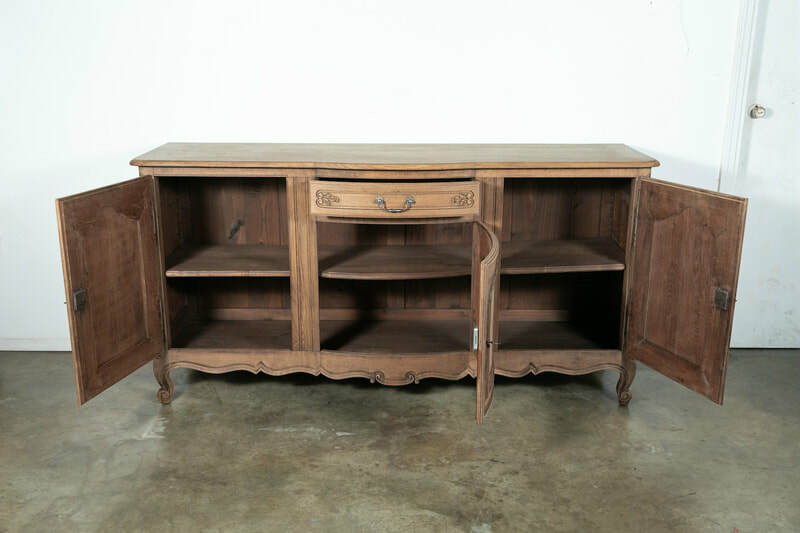 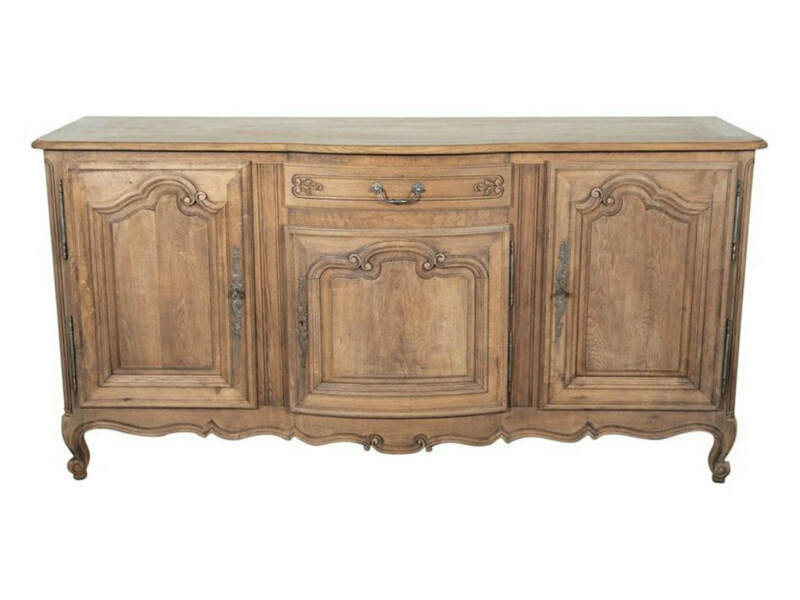 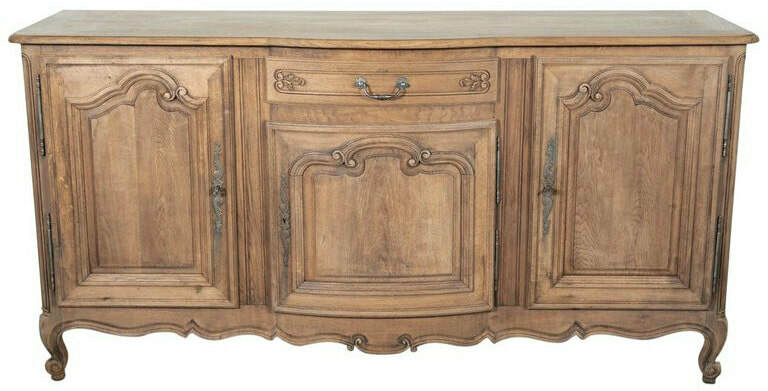 Add extra surface space to a dining or living room with this elegant Louis XV carved and curved bleached buffet.